The people who take drugs to see God Jump to media player Three men share their experience of using the Class A drug peyote to find religious enlightenment. Finding the beauty of Scottish football Jump to media player Scottish football may be struggling, but photographer Colin McPherson has found its beauty. The man who records all his sneezes Jump to media player Idly daydreaming one day, Peter Fletcher wondered how many times he might sneeze in his life. 'The most beautiful metro in the world' Jump to media player Russian photographer Alexander Dragunov's photos of Stockholm's metro have become an internet hit, and turned the train system into a tourist attraction. Changing the face of Harry Potter Jump to media player Harry Potter's new illustrator Jim Kay explains how he came up with his versions of the world famous magical characters. Mawaan Rizwan was brought up in a religious family but is no longer practising and feels detached from spirituality. He visits the Oklevueha Native American Church in Salt Lake City in Utah, America, where people take the Class A drug peyote in the hope of finding religious enlightenment. A powerful hallucinogen, its active ingredient mescaline puts peyote in the same category as heroin. Its effects are like that of LSD. Taking it could put someone at risk if they or a member of their family have suffered from psychosis in the past. People have been known to harm themselves while under the effects of hallucinogens. The "medicine man" James Flaming Eagle Mooney and Ohio-based believer Richard say taking traditional medicines like peyote connect them to a higher power. A sceptical but curious Mawaan joined them on one of their ceremonial retreats in the mountains. 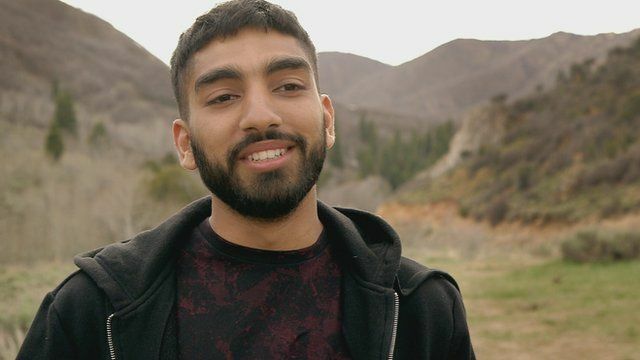 Watch Episode 1: Trip to the Mountains of BBC Three's Getting High for God?. Confidential advice on the use of peyote and mescaline can be sought through this helpline.